It is popularly thought today that Buddhism is a religion containing numerous myths, traditions and mystical practices. And therefore when I speak about psychotherapy, you might wonder. However the previous speaker who dealt with the scientific nature of Buddhism, made it clear to you that Buddhism is not just a dogmatic or mystical religion. In order to clarify this point further, I wish to draw your attention to the distinction between original Buddhism and modern Buddhist practices and beliefs. It is important not to confuse modern Buddhism as it is practised in different cultures and societies with what was taught and practised by Gotama the Buddha and his disciples. What is practised today in most Buddhist cultures whether Theravada or Mahayana are mainly rituals and ceremonies associated with emotionally held traditional dogmas or world views, and objects of veneration. This type of Buddhism is not different from any other religion with different dogmas, rituals and symbols of worship, which serve mankind only in temporarily reducing the anxieties and worries of life, here and hereafter. Distinct from this is Original Buddhism which was a practical solution to the basic problem of anxiety that underlies all our daily concerns, troubles and tribulations. Without understanding this distinction, it is not possible to examine this psychotherapeutic aspect of Buddhism. Therefore, I wish to emphasize at this point that whenever I use the word 'Buddhism', henceforth in this talk, I refer to that Original Buddhism and not to any form of modern Buddhism that is practised by any culture today. In speaking of the psychotherapeutic aspect of Buddhism, I have presented my position too mildly. I would prefer to say that Buddhism is entirely a psychotherapy. My hesitation in doing so, is because it would be too much of a shock to the devout cultural Buddhist. Yet, I would like to remind those familiar with Buddhism, that the Buddha was called in the Pali Nikayas the 'Unsurpassable physician and surgeon' (anuttaro bhisakko sallakatto) and also the unsurpassable trainer of persons (anuttaro purissa dhamma sarati). The Buddha also says in the Anguttara Nikaya that it may be possible for a person to claim to have been free from physical disease even for a hundred years, but it is not possible for a person to claim to have been free from mental disease even for one day, except for an Arahant or a perfected disciple or a Buddha.. It is recognized by all Buddhist scholars that the ultimate aim of the Buddha according to the Pall Nikayas is to produce Arahants. Arahantship was the culmination of the Original Buddhist Practice. This mans if the Arahant is the only person with perfect mental health, the aim of the Buddha was to produce mentally healthy personalities. This mans that Buddhism is a psychotherapy or rather the ultimate psychotherapy. I can summarize the teachings of the Buddha to make you aware of the basic principles on which this Buddhist psychotherapy stands. I see no better way to introduce these basic principles than to discuss the contents of the first sermon of the Buddha called the Dhammacakkapavattana Sutta, translated by me as "The Revolution Of The Wheel Of Experience", which appears in the Samyutta Nikaya. The first point elaborated in the Sutta is that there are two extreme modes of living to be avoided. One is the pursuit of sensual pleasure which is bipolarized as seeking sensual pleasure and avoiding sensual pain (Kamsukallikanuyoga). The other extreme is self exhaustion through self- denial and asceticism (Attakilamatanuyoga). Avoiding these two extremes, the Buddha teaches a third, medial mode of living (Majjima patipada) called the Sublime Eight-Fold Way (Ariya Attangika Magga). This third medial way consists of an awareness of reality, and is accompanied by thinking, speaking, acting, and living in harmony with it. This teaching of the Buddha could easily be understood in terms of the structural hypothesis of Freud. The pursuit of sensual pleasure is nothing but the activity of the Id. The special emphasis in Buddhism is on the fact that gratification of the Id, through seeking sensual pleasures does not lead either to mental health or happiness. This concept is not entirely in conflict with Freudian thinking because Freud recognized that emotional maturity is gained through the overcoming of the pleasure principle by the reality principle. Some modern psychologists still believe that gratification of the Id in some way is necessary for mental health. This of course is not completely denied in Buddhism as we shall see subsequently. Self exhaustion through self denial is again obviously the activity of the Super Ego. Being guided entirely by the Super Ego is not conducive to mental health according to Buddhism. This too is acceptable to psychoanalytic thinking as according to Freud a complete repression of the Id in this way leads to the utilization of the full psychic energy available to the Ego in this task of repression and therefore leaves the Ego ineffectual for dealing with external reality. The healthy medial mode of living recommended by the Buddha, which is to align one's thinking and living in harmony with reality, is undoubtedly the activity of the Ego, from a Freudian stand standpoint. Since, according to Freud, maturity consists in being dominated by the reality principle, this medial way of the Buddha falls In line with the Freudian concept of mental health, which is also the generally accepted view of all modern psychotherapists. It is also recognized generally in modern psychotherapy that an adequate sense of reality or the ability to distinguish between the outer world and the inner world of wishes and impulses is an important indication of mental health. In severe mental illness, this ability is considerably impaired or totally lost. This sense of reality is present to a greater degree in the neurotic than in the psychotic. However modern psychologists admit that even the normal person is not perfect in this ability to distinguish reality, thus agreeing with the Buddhist position. An important aspect of the development of the sense of reality, is the ability to distinguish between 'self' and 'not self', or what is under one's control, and what is, not under one's control. Freud recognized (in 1911) that frustration of the Id due to the impermanence of external objects is the most significant factor in the development of the concept of self in the infant and the demarcation of the ego boundaries or the line that separates the 'self' from the 'not self'. The Buddhist psychotherapist, it must be pointed out, does not play the role of a doctor in his therapeutic practice. His role is that of a teacher. His technique of therapy is a process of education. In Freudian terms, his task is the strengthening of the Ego through education. We might even go so far as to say that Buddhism is a form of Ego therapy or cognitive therapy. Through education, the patient's sense of reality is improved. The conflict between the Id and the Super Ego as well as that between the Id and reality is resolved through education of the Ego. This education is done first through verbal communication by the use of reason and secondly through the practice of meditation where the patient, or more correctly, the student, is helped to become aware of his experience within, which is observed as physical movements and tensions, feelings and emotions, and as mental images and concepts. The first thing the student learns is that goodness and happiness are not opposed to each other, for goodness is happiness. To put it in Freudian terms, the pleasure seeking of the Id is not wrong or evil but true pleasure is not the pleasant sensation but inner happiness. This inner happiness is achieved through relaxation and calm rather than through stimulation of the senses, excitement, tension and release of tension. Happiness is gained through the relaxation response. In other words the student is enlightened about the need to pursue the goal of calm in order to satisfy all three parts of the personality, namely the Id, the Super Ego and the Ego. The Id is satisfied because calmness is the way to happiness. The Super Ego, which seeks to do what is good and right, is satisfied because calmness is the way to be good. The Ego is satisfied because calmness is the realistic way to be happy and good and therefore calmness is realistic. Calmness also helps the student to get in touch with reality without interference from the wishes and impulses. This way the Ego, which seeks to be realistic, is satisfied. The pursuit of this harmonizing goal of calmness which resolves the conflict within and without is called the Sublime Pursuit (Ariya Pariyesana) and this way of life is called the Sublime Way (Ariya Magga) or the Harmonious Way (Samma Magga). It is also the way of mental health (Arogya). 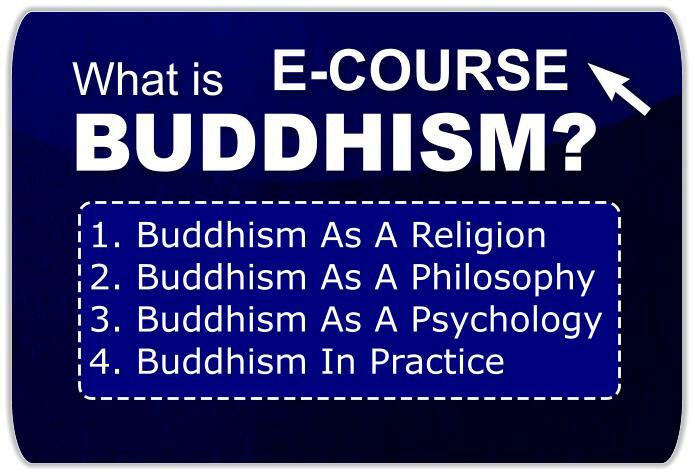 This explanation of the Buddha's-teaching in terms of modern psychological concepts is not done with a view to obtain support for the Buddhist position from modern psychology but to make the Buddhist position intelligible to the modern mind acquainted with modern psychological concepts, and to show that the Buddhist psychotherapeutic technique is not only relevant in the modern world but also a constructive contribution to modern psychotherapeutic thought. The first sermon of the Buddha, which we are in the process of discussing, introduces the subject in the foregoing way, and proceeds further to discuss the basic problem of anxiety called Dukkha. This anxiety, according to the Buddha, is experienced in relation to seven basic situations: 1) birth; 2) old age; 3) disease; 4) death; 5) meeting unpleasant people and circumstances; 6) parting from pleasant people and circumstances; 7) frustration of desire. The entirety of anxiety is also presented as an aggregate (khanda) or body (kaya). It is the sum total of all experienced phenomena analysed into five aggregates which are personalized, to form the experience of "a self-in-the-world." This five-fold aggregate of personalized phenomena is called Pancupadanakkhanda. It is also sometimes called Sakkhaya, which means "personal body." This may be compared to the concept of "a self image" or "self-concept" that is found in modern psychology. This "self image" which is the result of the personalization of phenomena is seen as a bundle of anxiety by the Buddha and this anxiety is bundled up through the process of personalization which results in the concept of "being as a self" (Bhava). All worries, anxieties, fears and feelings of insecurity, which are basic to life, are the result of this process of personalization (Upadana). This process of personalization is associated with the feeling of power over what is personalized. Therefore, personalization is also seen as the wielding of power (vasavatti). From this standpoint, in order to remove the basic anxiety that underlies human existence, it is necessary to depersonalize (Upadana nirodha) the five-fold aggregate of phenomena and remove the "self concept" according to Buddhism. Therefore the ultimate purpose of Buddhism is to produce an individual who is free from the experience of self within. This is the one who is perfect in mental health and who is called Arahant, the worthy one. Though this ultimate state is rarely reached, the mental health of an individual is measured according to the degree to which the individual has lost his experience of self. The question seems to be a matter of self-boundary or Ego boundary from a Freudian standpoint. This is the extent to which a person identifies the things of the world as belonging to himself or as a part of himself. The abnormal person's self boundary is greater in circumference than that of the normal one. The normal person's self-boundary is greater in circumference than that of the supernormal one. The supernormal person's self-boundary is greater in circumference than that of the sublime one. Buddha therefore recognizes two levels of being above the normal level; the supernormal (uttari manussa) and the sublime (Ariya). The personalization process is dependant on what is called Tanha, which in literal translation is thirst, which is similar to the Freudian urge. This thirst, or Tanha, is three-fold: The thirst for pleasure, the thirst for existence and the thirst for non-existence. It is interesting to note that the Freudian concept of drives which included the sexual and the self-preservative drives at first, and later proposed as the life and death drives, seems to coincide with this Buddhist concept of Tanha. It seem that psychologists are rediscovering what the Buddha discovered nearly 25 centuries ago. Yet the aim of Buddhism goes beyond the aim of modern psychology in that a complete disappearance of Tanha is aimed at. According to Buddhism, perfect mental health is not achieved until this thirst has been completely rooted out. Although modern psychology seems to rest satisfied by making an abnormal person normal, Buddhism aims at removing even normal mental discomfort and unhappiness by bringing about perfection of mental health. It is interesting to note that the Buddha recognizes nine levels of mental health experienced at nine stages of development of the mind above the normal state. This is discussed in detail in a Sutta in the Anguttara Nikaya (A IV 44). Of the nine supernormal (uttari manussa) levels of mental health, the ninth one which is called the sublime level (Ariya bhumi) is further analysed into four levels of personality: 1) the Stream entrant (Sotapanna); 2) the Once returner (Sakadagami); 3) the Non-returner (Anagami); and 4) the Worthy One (Arahant). Modern psychology, of course, does not seem to think that it is possible to remove this thirst or urge altogether. Yet Erich Fromm points out that Freud's ultimate aim was to remove the Id entirely and he quotes Freud as saying, "in place of the Id there shall be the Ego." This seems to support the Buddhist position. The first sermon of the Buddha that we are discussing goes on to explain further the technique by which this thirst is removed. This technique is called the Sublime Eight-Fold Way which we discussed earlier as the medial mode of living that avoids the two extremes: the pursuit of sensual pleasures, and self exhaustion through "self denial." This Eight-Fold Way begins with what is called Samma Ditti, which is awareness of reality by understanding three important facts of life: 1) instability (Anicca), 2) discomfort or anxiety (Dukkha), 3) Impersonality (Anatta). Anicca, or instability, is the transitory nature of all experienced phenomena to which we become attached and personalize, thinking "this is mine," "this is I," "this is me or myself." Dukkha or anxiety is what is experienced due to the experiencing of the instability of what has been personalized. This anxiety is the result of a clash between the wish for permanence and the reality of instability. Here we begin to distinguish between the wish for permanence and the fact that we do not wield any power over anything because we cannot make permanent what is impermanent. It is the recognition of the fact that we do not have power not only over external objects but also over what is within the body which is identified as self. In other words, if ownership is seen as lordship or wielding of power over what is owned, we own nothing in the world, not even what we call "ourself." Therefore, there is no basis for the concept "mine" or "myself." In other words, the "self concept" is also seen as made up of our wishes or impulses. This is, in Freudian terms, reality testing or distinguishing between reality and a wish. This way we acquire the healthy sense of reality, which removes all anxiety. This view is called the Samma Ditthi or the harmonious perspective because it is in harmony with reality. This understanding results in an emotional state of calmness, happiness, and kindness. Such an emotional state leads to good external behaviour, verbal and physical, which is regarded as good socially. A life based on this perspective and this emotional state and behaviour is a harmonious life. And this harmonious life has to be maintained and perfected by means of the harmonious practice. In discussing the harmonious practice we come to another aspect of Buddhist therapy which is in line with a different kind of psychological technique from what we have just discussed. The modern psychological technique that falls in line with this practice comes under what is called the Behaviour Therapies. This practice could be described by using terms like desensitization, operant conditioning, and also the learning theory. Buddha regards even mental processes as habits of thought which have been learned and which could be unlearned by consciously stopping their repetition, and constantly practising wholesome thoughts. What are regarded as wholesome thoughts are those thoughts that are calming. Those that excite the mind and produce tension are regarded as unwholesome. Buddhism also recognizes that affective mental processes or emotional excitements are rooted in cognitive mental processes, such as the formation of concepts or interpretation of experiences. According to how you interpret the situation, you become emotionally excited or become calm and relaxed. These interpretations that produce excitement are always associated with a "self-concept" or "self image." If we carry bad self images habitually, we become habitually unhappy individuals. By practising good thoughts we begin to eliminate these bad self images and cultivate images of calm. The calm mind is able to observe the subjective experience objectively and this brings us to the next step, which is the harmonious awareness. In the harmonious awareness, one becomes aware of the subjective experience objectively and by the constant practice of this awareness, one begins to depersonalize the subjective experience. This way the personality perspective (Sakkaya Ditthi) is gradually removed followed by further gradual removal of all thoughts of "I" and "mine." This gradual depersonalizing process calms the mind further and leads to the experiencing of progressively deeper levels of tranquillity and happiness, leading to the perfection of mental health with the complete eradication of the experience of self within and the rooting out of thirst, and the disappearance of all anxiety for good. This ultimate state of mental health is rarely attained in modern Buddhist practice, but this is the final goal of the Buddhist as taught 25 centuries ago. These principles of Buddhist psychology could be used in the modern world and could be constructively used by modern psychotherapists. I do not have the time to discuss in detail the various cases where the Buddha has used these principles in his time. Nor do I have time to discuss some of the cases in my own experience where I have used these principles. Most important of all is the use of these principles on myself. Though I have no time to discuss this too in detail, I would like to state that I have tested in my own experience the validity of these principles. In discussing the First Sermon of the Buddha called the Revolution Of The Wheel of Experience in this way, as the process of transformation of an individual's personality from an unhealthy one to one of health, I might appear to have strayed away from the Orthodox Theravada, Mahayana or any other Buddhist tradition. But as I pointed out earlier, I am not discussing any form of modern Buddhist standpoint or practice. 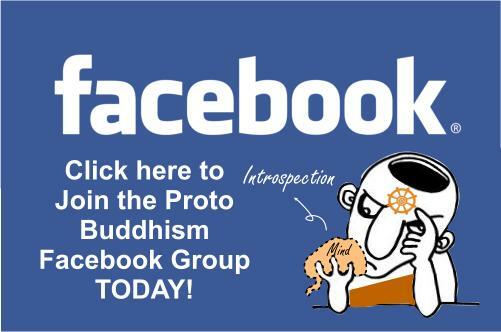 I am discussing the Original Teaching and Practice of the Buddha as found in the earliest sources recognized by all scholars which do no not belong to any modern school of thought. I hope this effort will kindle your interest, ladies and gentlemen, in exploring further the early teachings of the Buddha. I believe that if modern psychologists make a serious study of these early teachings of the Buddha, it would become a significant turning point and a breakthrough in modern psychotherapeutic thought and practice.